Dnister’s Insurance partnership ended on 28 September 2018. From that date, Dnister Ukrainian Credit Co-operative Ltd is not able to offer insurance products to its members. Members with existing insurance policies will have received a letter from Dnister advising of the changes. All general insurance policies (home, contents, landlord, motor vehicle, travel) current as at 28 September 2018 will continue until their next renewal date. What will happen to my policy at my next renewal date? From your renewal date, your policy will be cancelled and you will not be offered a renewal of that policy. What do I need to do before my next renewal? 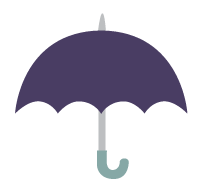 It will be important for you to arrange alternative insurance cover from a provider of your choice to ensure that your assets are protected prior to the renewal date. All existing Consumer Credit Policies (CCI) will remain covered until the expiry date of insurance or the loan expires, is restructured or paid in full (whichever occurs first). Will my policy continue if I restructure my loan? No, your policy will be cancelled and you will not be offered a new policy. You will need to arrange alternative insurance cover from a provider of your choice to ensure the loan is protected. We apologise that we can no longer offer insurance to our valued members and we welcome any enquiries for assistance by contacting our Member Services Team.